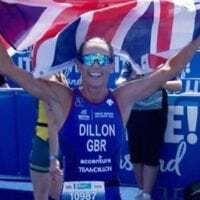 The first day of competition on the Gold Coast at the ITU World Triathlon Grand Final featured the ITU Sprint Triathlon Age-Group World Championships, which are held in the draft-legal format. 38 countries represented in a field of 1551, which included 178 British athletes. The final ‘scores on the doors’ – all detailed below – was seven Gold, two Silver and three Bronze for the British team. 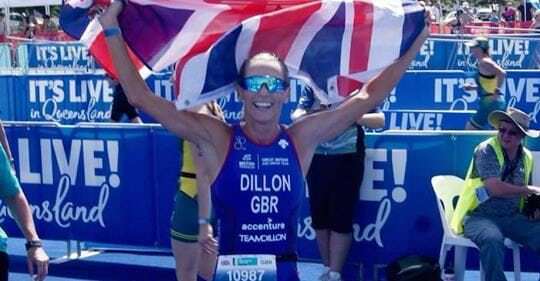 The fastest British woman, Michelle Dillon, was also the fastest across all divisions while winning the 45-49 category. 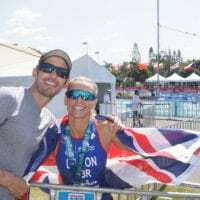 An Olympian in both 2000 and 2004, European Triathlon and World Duathlon Champion, Michelle’s Elite career ended around 10 years ago when she had to have spinal fusion surgery which has taken many years of rehab in order to get healthy again. 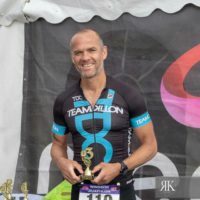 She made a brief, and unexpected, comeback to Elite racing in 2016 when finishing second at the British Elite Duathlon Championships to Emma Pallant (who she coaches), and then raced at the World Duathlon Championships in Aviles, Spain later that year. 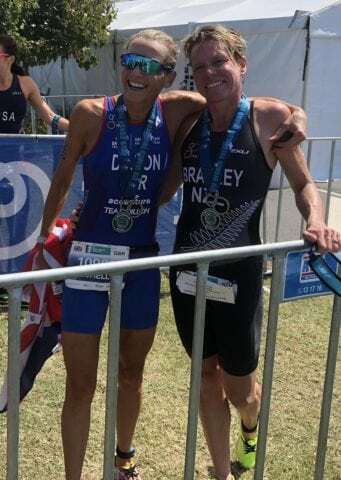 She need to be fast today simply to win her Age-Group, as second place and Silver went to Samantha Bradley (NZL), probably better known during her Elite career as Samantha Warriner, twice an Olympian herself and an ITU World Cup Series champion. Michelle and Samantha started the 5km run within seconds of each other, before Michele was able to pull clear with an 18:00 5km, the best run of the day. It’s great to see these athletes still have the drive and desire to race, long after their ‘Pro’ careers are over.